My Son Can't Sleep - Is This A Sleeping Disorder? The following is a visitor-submitted question or story. For more, you can submit your own sleep story here, or browse the collection of experiences and questions other visitors have shared here. MY SON IS 19 YEAR OLD. HE CAN'T SLEEP AT NIGHT EVEN HE STAYS UP FOR 2 DAYS. HE STILL CAN'T GO TO SLEEP AND HE FEELS SLEEPY IN THE MORNING, LIKE 5AM HE WAS ALWAYS LIKE THAT BUT NOW ITS GETTING WORSE AND EFFECTING HIS COLLEGE LIFE TOO. I DON'T KNOW WHAT KIND OF DOCTOR I SHOULD GO TO. Kevin: Hi Shamila, Since your son's life is being significantly affected by his lack of sleep, it probably would be wise to have him visit your family doctor or a sleep specialist near you. They should be able to assess his specific situation in more detail and offer him helpful strategies to combat it. In addition to that, you may find helpful information on our Can't Sleep page. Best wishes to you and your son. Comments for My Son Can't Sleep - Is This A Sleeping Disorder? Hi. Your son probably is experiencing some of the following problems. I have a few questions and a few suggestions. First does he go away to school or live at home while attending college? Second, what has changed in his life other that graduating high school and going to college? ie Food, habits, social life, too many friends, not enough friends, interest in a love interest, separtation from a love interest? Third, is your son ADHD? Does he have allergies and can't breath? Your son may be having seperartion issues. It is really tough on kids when they are thrown into the adult life of being responsible for themselves. Being over zelous with college life can really change your body chemistry. I would see a sleep center first for they monitor his brain while he is sleeping or attempting to sleep. They can determine a lot about what is going on in his body. I have 4 kids of which 3 are in college and one a senior in HS. I would see what the sleep center says first, then move on to a psychologist to see what is underlying his lack of sleep. Good luck! My son is 19 also and was away at college and now living at home attending college. His father passed away unexpectedly 8 months ago. He is going through what I beleve is separation anxiety! He is afraid and scared now of his unknown future without his father. His social life has changed, his friends have changed, his eating and sleeping habits are terrible. He is out with friends every night and when he gets hone at 1:00, 2:00, or even 3:00 am he will stay awake eating snacks and watching T.V or playing Play Station games until 5:00 or 6:00 am in the morning. He has had grief counsuling; however he dind't have enough and needs to return. He doesn't want to go and says he is okay, but he isn't okay. He has gained alot of weight and has taken on smoking cigaretts and maraquina. He has a history of obeasity and diabetes in the family and I am very concerened about his physical and mental health. I am 20 years old and I would go 60 hours without sleep. It was terrifying. Your son needs to take psilocybin. I prayed to God for a cure and I believe he lead me to the idea that if a hallucinogen can cure depression as it has been proven in many studies, it can cure insomnia as well. To complete my recovery I did acupuncture. My parents hated hear about any psychedelic drugs. But if you read this, please tell your son. It may change his life as it did mine. Join in and write your own page! It's easy to do. How? Simply click here to return to Sleep Questions and Answers. Enjoy this page? Please help us pay it forward to others who would find it valuable by Liking, Sharing, Tweeting, Stumbling, and/or Voting below. Welcome! This site is continuously being created by students of Dr. William C. Dement's Sleep And Dreams course at Stanford University. We made this site as a call to action for people all over the world to live healthier, happier, safer, and more productive lives by learning about their own sleep. We have faith that reading the information provided on this site will motivate you to be smart about your sleep deprivation and strategic about your alertness in order to live life to your fullest, most energetic potential. In fact, we challenge you to do so! What do you say, are you up for the challenge? America's Most Dangerous Disorder: What Is Sleep Apnea Doing To Your Sleep? Sleep Debt: How Much More Will You Achieve When You Reduce Yours? Paralyzed at Night: Is Sleep Paralysis Normal? Sleep Disorders In Children: What's Keeping Your Child From A Full Night's Rest? Publishing sleep stories and questions from our visitors is meant to create a forum for open and proactive dialogue about an extremely important portion of our lives (one that occupies 1/3 of it and affects the other 2/3) that isn't talked about enough. It is not meant to substitute a trip to the doctor or the advice of a specialist. It's good to talk; it is not good to avoid consulting someone who's profession it is to help you with this kind of stuff. If you are in any way concerned about your sleep health, don't wait for an answer on here, and don't necessarily rely on them. See a sleep specialist in your area as soon as possible. Dr. Dement's pioneering textbook has been the core text for Sleep and Dreams since 1980, but it has just recently been made available to the wider public for the first time. In it you'll find a more detailed account of the most important things you need to know about sleep, alertness, dreams, and sleep disorders. Studies, statistics, plus plenty of Dr. Dement's classic anecdotes painting the history of sleep medicine. 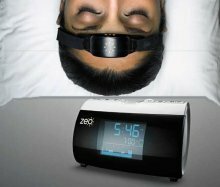 A revolution in personal sleep tracking, the Zeo is a wireless headband that transmits your brainwaves in realtime to a dock (pictured here) or your smartphone. The result? You can wake up and see exactly what stages of sleep you were in during the night! Unprecedented personalized sleep knowledge. Ever woken up paralyzed? A surprising number of us have, believe it or not. But few know the actual causes of this phenomenon, and fewer still how to exert control over it. 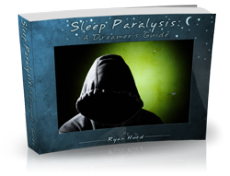 Dream researcher and sleep paralysis expert Ryan Hurd shares breakthrough insights into how to do just that. The information found on this page and throughout this site is intended for general information purposes only. While it may prove useful and empowering, it is NOT intended as a substitute for the expertise and judgments of healthcare practitioners. Copyright © 2017 End-Your-Sleep-Deprivation.com. All Rights Reserved.